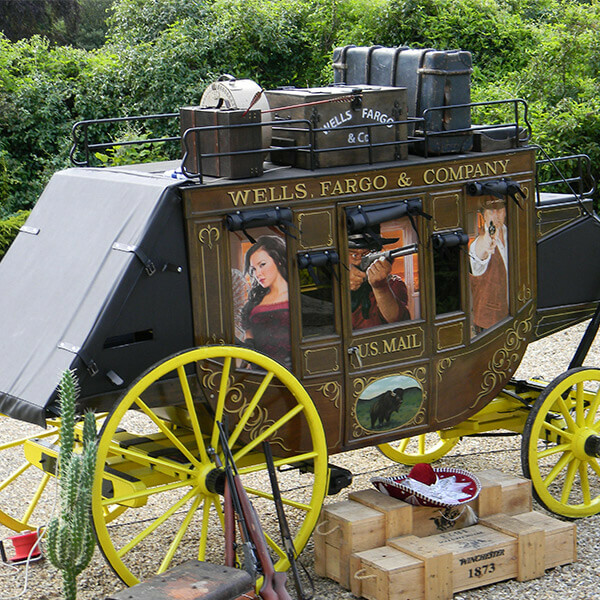 An iconic photo booth for hire, the Concord stagecoach, star of many a thrilling western has a new lease of life with a fully functioning photo booth system built in. Throw in the wild west themed props, to wear, along with the odd cactus plant, tumbleweed etc and you have a stunning wild west photo booth. Capable of taking up to 6 guests in the back, the system can be set to take from 1 to 8 photos, and dispenses laboratory quality prints from its onboard printer.